Smart Planet Technologies is a materials engineering and intellectual property company focused on sustainable material advancements for the paper packaging industry. 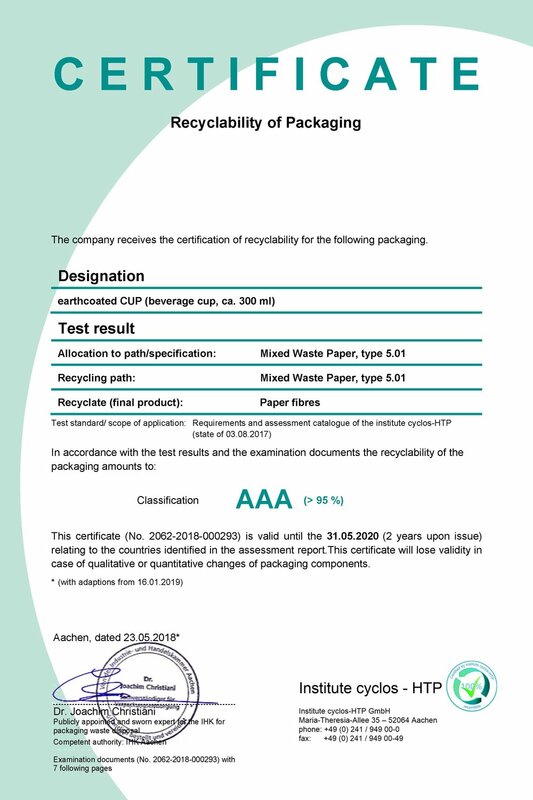 Paper cups made with EarthCoating® qualify for AAA rating for EU recyclability. Paper cups, food trays, folding cartons, take-out boxes, ice cream containers, food wraps and lots of other plastic-coated paperboard packaging materials are sent to the landfill. The first step to getting paper cups recycled is to make them valuable and easy for recyclers to process through conventional paper recycling equipment. The graphic to the left illustrates the process of paper recycling. 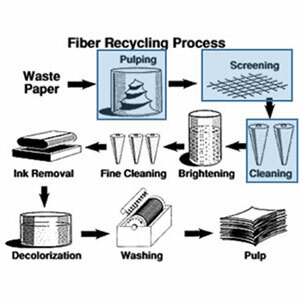 A major part of the process includes extracting and cleaning fibers from non-paper contaminants that can found in the recycled paper stream. Unlike traditional plastic coatings, EarthCoating® is engineered for efficient processing in recycling systems. EarthCoating® is designed to fracture into small, dense particles in the pulping process, thereby avoiding the challenges found with traditional plastic coatings. We’ve recently added additional content to our repulpability report and will continue to update our data as new information becomes available. Click here to view our Repulpability report. Paper cups made with EarthCoating® (called reCUPs) are being collected from curbside bins for recycling in Ireland. To learn more, visit CupPrint. Paper cups made with EarthCoating® (called RecycleMe™ cups) are being recycled into copy paper thanks to Detpak’s RecycleMe™ closed-loop collection program and their partnership with the Shredall Group. To learn more, visit RecycleMe. Paper cups made with EarthCoating® (called RecycleMe™ cups) are being recycled into copy paper in Australia thanks to the RecycleMe™ closed-loop collection program and their partnership with Shred-X. The RecycleMe™ closed-loop paper cup collection system has received an official endorsement from Planet Ark.